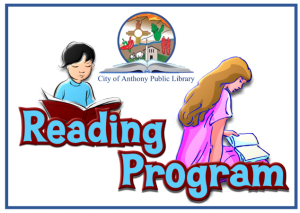 For more information about participating or volunteering for the race please click the banner or click link below. 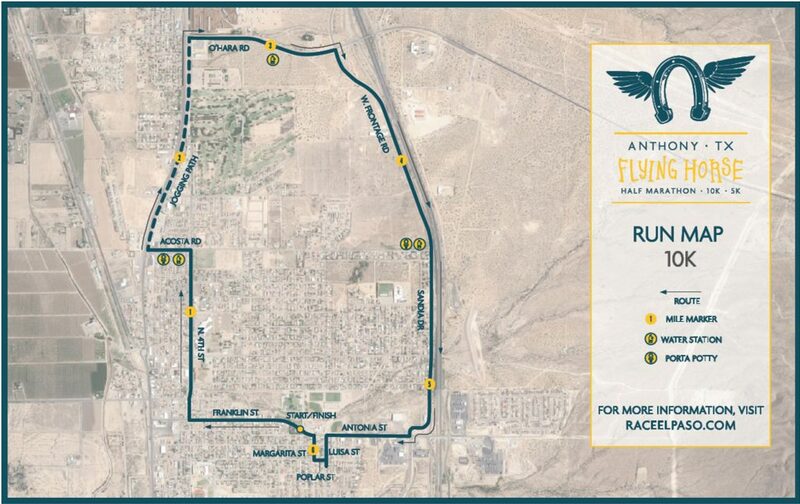 Anthony Flying Horse Half Marathon, 10k and 5k will be happening Saturday November 17, 2018, from 7:30am till 11:30am, Event will be happening between Anthony TX and Anthony NM. 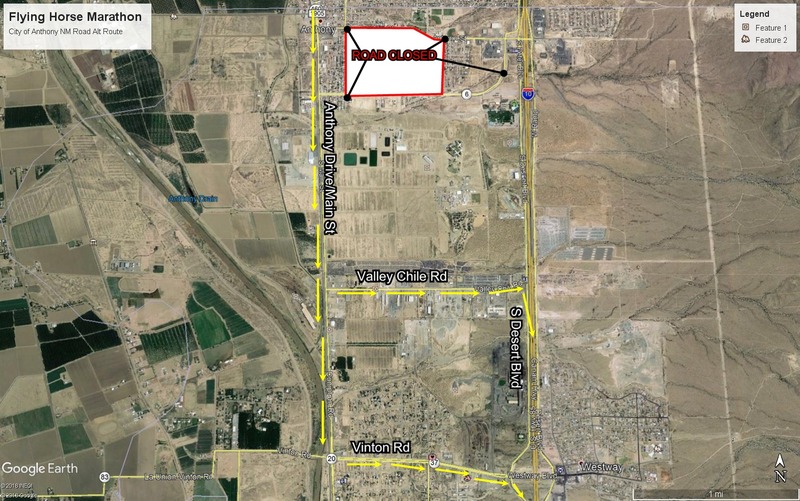 On the New Mexico Side, 4th Street will be closed from Livesay St to Acosta Rd. Any traffic needing to get out will have to follow west on Church Street through to 1st Street. Traffic Control will guide you through. Frontage Road will be closed during the event. O’hara East bound lane will be closed from NM 460 (Anthony Drive) to Sandia Drive. Please make adequate arrangements if you need to leave the area. 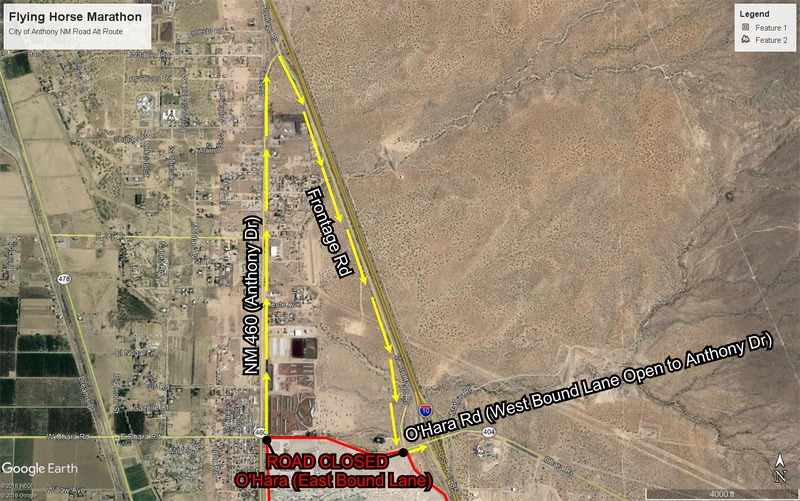 Anthony Texas will close Franklin St and Wildcat Dr. 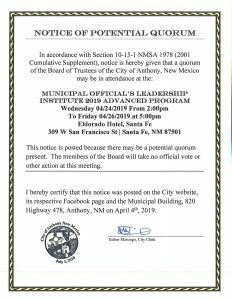 Anyone needing to access I-10 during this time will either need to go North on NM 460 (Anthony Drive) till the road meets Frontage Road and turn left and head South Bound till you reach O’Hara, East bound lane will be accessible from this point to I-10 and Chaparral. If you go South on Anthony Drive, you will need to drive towards Valley Chile Road and turn Right on East Frontage Road to gain access to I-10. Or you may proceed South on Anthony Drive till you reach Vinton Road, at witch point you will make your way east till you get to E. Frontage Road to access I-10 Freeway on-Ramp. 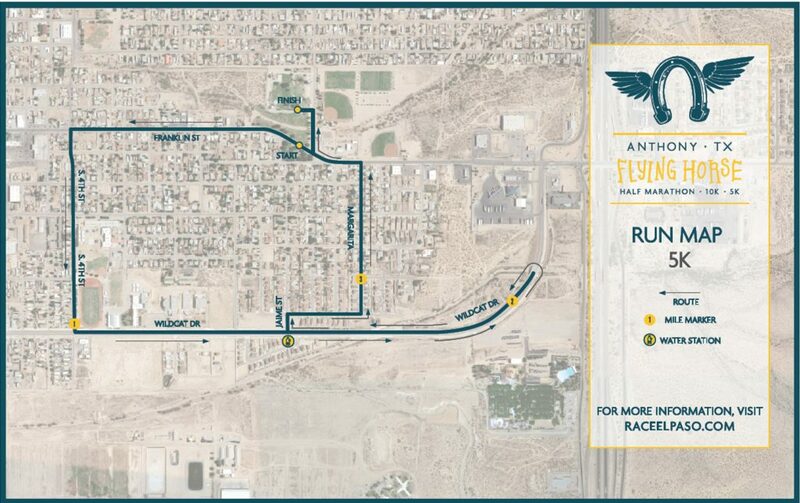 The Following maps are the Flying Horse 5k and 10k respectively.